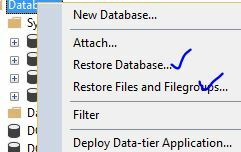 You need to create a SQL Server credential first to restore a database back up from Azure blob storage. A lot of writings can be found around the web on this. Most of them have used Azure Storage Account to create the credential in the first place. 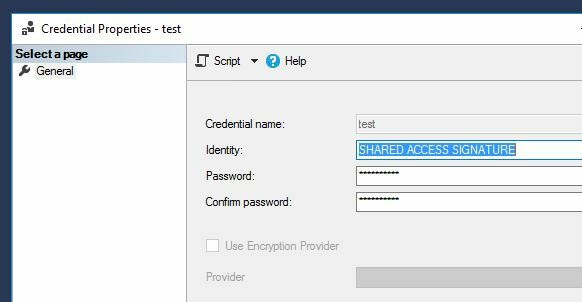 In this short post, I will be using SAS (Shared Access Signature) to create the credential first. So, here you go.. Following is a snapshot of a credential created using SAS. Identity will be SHARED ACCESS SIGNATURE and Password will be your <SAS token>. Use your back up file’s URI in Shared Access Signature area. 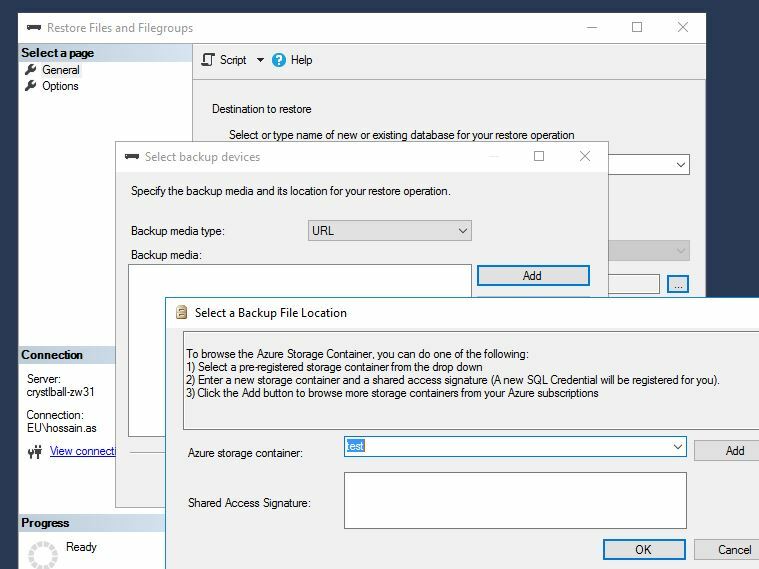 This entry was posted in Azure, SQL, Database and tagged Azure, Azure Blob Storage, restore database from azure, SAS, shared access signature. Bookmark the permalink.